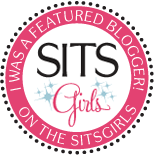 Today is the day we kick off the 31 Days to Build a Better Blog Challenge with 400 wonderful ladies at the SITS Forum on BlogFrog! I'm so excited to challenge myself this month with really thinking about my blog and how to reconnect with my writing. The task for the first day of the challenge is to create an elevator pitch for your blog. An elevator pitch is a short, consise description that can be used for many purposes including your tagline, about page, social networking profiles, business cards and conversation. When I sat down to start working on my elevator pitch, I knew some work was ahead of me. Writing a description for my blog means I have to actually KNOW what my blog is about first! My focus here is definitely something I've struggled with, but I think I'm finding it again. I'm trying to focus on what I want my blog to be rather than what I think my blog SHOULD be. the bottom line is that I created this place for myself. I love writing, and it's something that's been a part of me for as long as I can remember. When I build community and make connections and friends here, I want it to be based on a piece of myself that I've shared with people here. I want it to be true, authentic, and full of heart. This place is a part of who I am, and a really important one at that. Being a mother and wife is wonderful, but being here? It helps me remember myself in all of it. 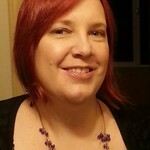 Through my blog, I am exposed to women who are similar to me, and women who are very different. I remember to count my blessings and remain grounded when I read other blogs. I experience joy and heartache, and can channel my energy into remembering to lift other people up. Just by participating, I feel lifted myself. Scientific Nature of the Whammy is a sanctuary where I nurture my spirit by letting out the words that fill me every day. It's a place that allows me to remember who I am and share it with the world through all life's ups and downs. As a mother, I nurture my children every day. As a wife, I nurture my husband. I write to explore my moments of happiness, heartache and hope. I blog to share those moments with others, then gain the privilege of experiencing the same moments from other people whose blogs I love. This is where I nurture myself and build connections and community that lift me up and make living life a joy. In addition, I've changed my tagline to more accurately reflect what I do here. My old tagline was "Seeking the silver linings behind life's whammies." One reason for that tagline was that I felt I needed to tie in the title of my blog to the tagline. I realized while completing this task that they don't HAVE to be so closely tied together. My title is certainly quirky, but I shouldn't let those words limit my description of what my blog is about. If you're interested in writing an elevator pitch for your blog, my suggestion is to sit down and just start writing! When I sat down, I felt nervous because I had no idea what my pitch would be. I found that by just starting to write about what my blog means to me, I was able to come up with a new tagline for my blog, and an elevator pitch, within 10 minutes! Great one! I too had tweaked my tag line and elevator pitch as I starts to focus on my blog more. Btw, I love your tag line! Great post!! Good Luck on the next 30 days. Wonderful revelation, Rachael! I love your elevator pitch and your new tagline! "Nurturing the spirit through writing and community; exploring the moments that make life a joy." I love this exercise, it truly uses your brain muscles! The great thing about elevator pitches is that they evolve as you and your blog do too! It's going to be an exciting month. Thanks for stopping by my blog today. I like your Elevator Pitch - it really tells what your blog is about for sure! and I agree with Lynda about removing the 2nd and, and replacing it with a semicolon - it reads better and looks neat as well. Good pitch! Nice that the exercise helped focus you. great elevator pitch. i love that it tells me more about you as well as about your blog. i'm definitely adding you to my reader. Good choice. I'm impressed you came up with the new elevator pitch in 10 minutes. I struggled for a ridiculously long time.